Crizzash "All the MP3s I loved to play / Well at least the rootkit is out of the way"
Rootin' and Falootin' "So come aboard ladies / Your cap'n is waitin' / You can swab me poop deck if you know what I'm sayin'"
Congrats James Postlethwaite. 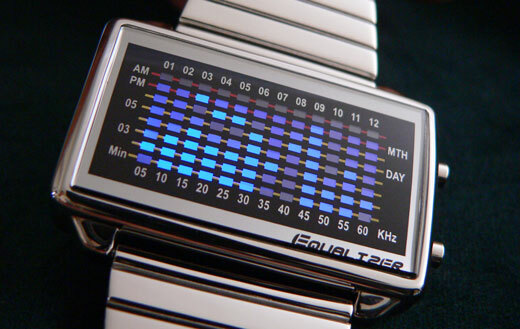 E-mail me at tips@gizmodo.com to pick up your Equalizer watch. Thanks to Tokyoflash for the watch, Odeo for the MP3 storage, DJ Hitachi for the hard drive failure sounds and to everyone else for taking part.